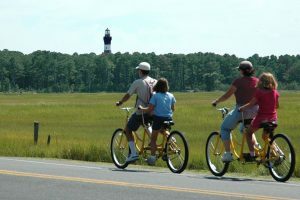 Chincoteague has been nominated in the 2019 USA TODAY 10Best Readers’ Choice Travel Awards for Best Coastal Small Town by a panel of 5 travel experts. Online voting has begun and will end on Monday, May 6th. Winners will be announced on Friday May 17th. A person can vote once a day for the run of the contest. Many of us rely on that annual or bi-annual dental check up to make sure our teeth are in good shape, but taking care of your teeth on a daily basis is really what make the biggest difference between a good smile and a great one. 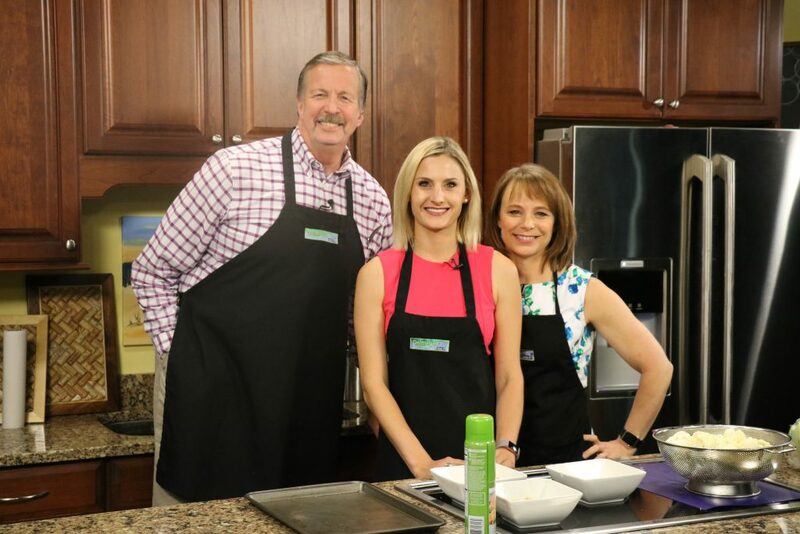 DelmarvaLife’s Sydney Whitfield spent some time with the team at Delmarva Dental Services in Salisbury, to learn how something as simple as the proper toothbrush or mouthwash can make all the difference in the world. 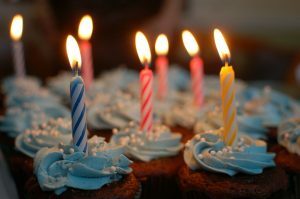 If you had an elderly grandparent, or even a family friend who had a hearing aid twenty, thirty, maybe forty years ago, you know they were big and very visible. 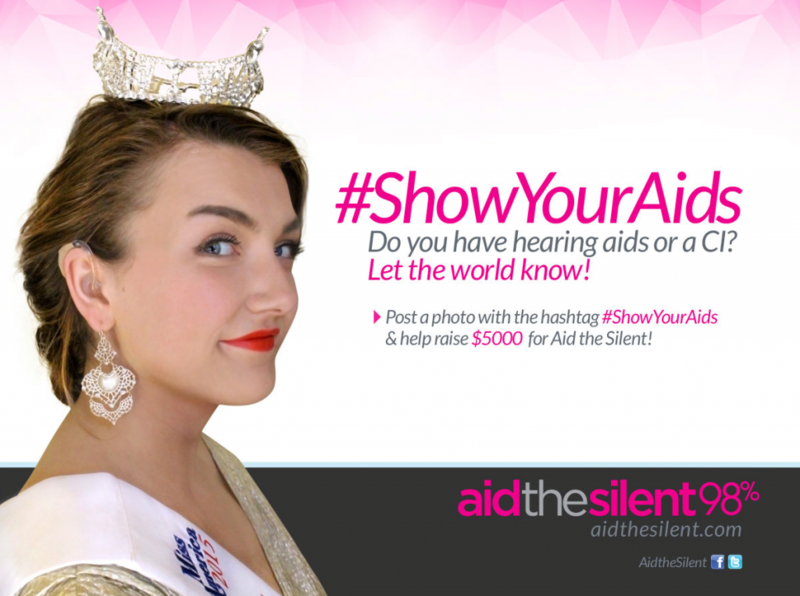 Just like most technology, hearing aids have come a long way. 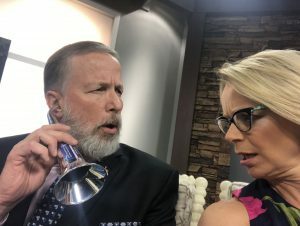 Jason Wells, a licensed hearing instrument specialist with Audio Advantage Hearing Aid Centers show us that new technology and explains why it’s not a one-size-fits-all device. Tuesday night, Paige Stevenson of Dagsboro lived a dream. 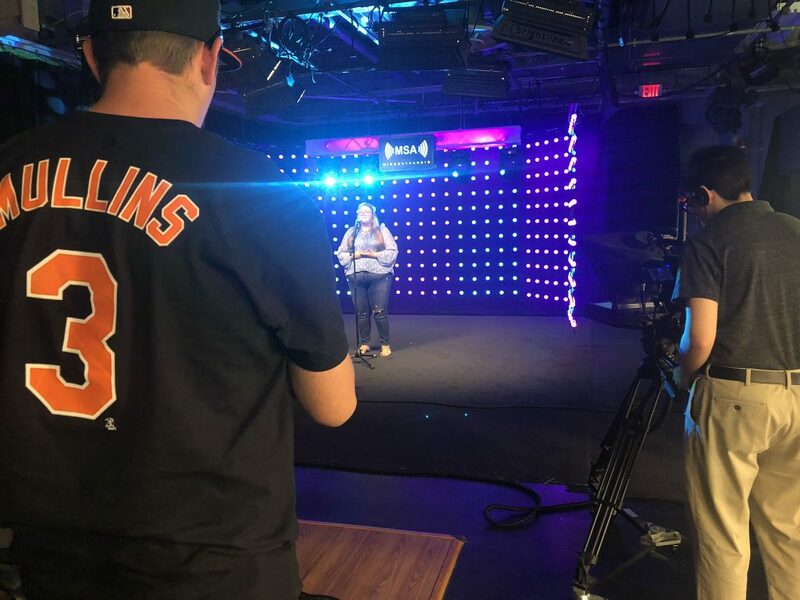 She sang the Star Spangled Banner at Camden Yards in Baltimore before an Orioles game. 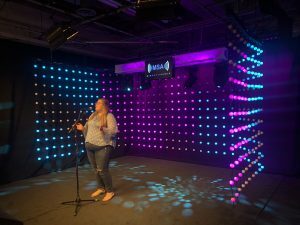 Today, she takes the Mid South Audio Stage to perform two songs. We also find out what’s ahead for this aspiring performer. 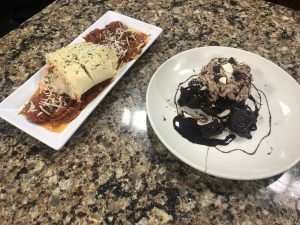 The Kirby and Holloway Kitchen is full of ingredients to make dinner and dessert today, and Tracy Owes of Sanibel’s Oceanside 32 in Ocean City is leading the charge. He shows us how to make Stuffed Lobster Roll and Death by Chocolate. Mix on low heat in saute pan until smooth. And 2 oz chopped lobster meat. Blend all ingredients together. Hollow out to 4 to 5 on medium sized Italian roll. Stuffed equal portions into two rolls. Brush melted butter on top sprinkle fresh parsley. Bake at 425 fo 7 to 8min. Set Top your favorite marinara sauce and serve. Combine in mixer, slowly mix, increasing speed for 45 second. Put in freezer for about an hour. On a place, break up brownies and top with ice cream. Garnish with chocolate sauce and sliced almonds. The WBOC Mid-Shore Job Fair is this weekend. If you are looking for a job, it is our goal to provide you with a way to explore a variety of job options under one roof, in one day, to help you see what you really like. 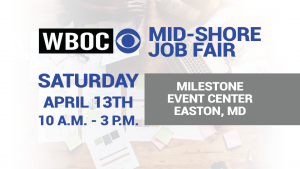 The WBOC Mid-Shore Job Fair is Saturday, April 13 from 10 a.m. to 3 p.m. at the Milestone Event Center in Easton.